With borders shared by nine nations, traversed by one of the world’s mightiest rivers and boasting a mindboggling expanse of flora fertilised by millions of tons of African desert dust, the Amazon is the world’s most important, and impressive, rainforest. Ever since the first European explorers stumbled upon this treasure of nature in the 16th century, man has been nothing short of obsessed with exploring and tracing every nook and cranny of it. So we’ll set off on an adventure of our own. We retrace the history of the exploration of the Amazon, from the days of the early pioneers who encountered a new world and exploited it no end, right up until the present day, a time when the protection and safeguarding of this immense natural resource has finally gained worldwide momentum. The first European to ever set foot in the Amazon was Francisco de Orellana, a cousin of famous conquistador Francisco Pizarro. On a joint expedition with Pizarro’s brother in 1541, de Orellana set off from Quito in search of the mythical El Dorado, a city allegedly overflowing with gold and riches. As the discovery of El Dorado remained elusive, the group suffered greatly at the hands of the elements. Within merely a month of setting off, much of the group had perished in the harsh and inhospitable tropical rainforest east of the Andes. After becoming stranded and finding themselves without supplies, de Orellana set off with a small contingency of men down the Rio Napo by boat, seeking much needed supplies. The further he went downriver, the more inhospitable the jungle became. The group encountered indigenous settlements which they burned and pilfered, killing anyone who dare not flee. Rumours of their impending arrival probably travelled faster downriver than they did, and attacks by tribesmen and women became more common and more brutal. Hostilities notwithstanding, de Orellana followed the Napo until its confluence with the Amazon and followed that east until the group emerged in the Atlantic in August 1542, thus tackling what became known as the first-ever navigation of the Amazon River in its entirety. By a white man, at the very least. Amazon river map. Photo credit: Amazonrivermap.png. When de Orellana returned home to Spain he impressed the court with tales of formidable tribesmen and women, tall, strong and fearless, much like the Amazon warriors of Ancient Greek mythology, which is where the region and river eventually got their name. Yet perhaps unsurprisingly, no European empire had much interest in extensively exploring and colonizing this region of dense tropical forest and seemingly unfriendly locals. Intermittent attempts were made by the French, English and Portuguese (the first trip upriver from the Atlantic back to Quito was by a Portuguese general in 1637) but what they mostly accomplished was the setting up of Jesuit missions (to convert and protect indigenous tribespeople) and the building of small settlements to aid in further explorations into the forest. The Portuguese built a fortress at Belém (now the capital of the Para’ province) and various sporadic and small-scale expeditions were sent inland in order to search for richer and procure slaves, but it would be another 200 years before the Amazon revealed what was to become one of its many coveted treasures. European explorers had long-since admired the ornaments and waterproof bags which the indigenous Amazonians made from the sap of the rubber trees. Although they soon discovered that the material was quite useless outside of the region (it didn’t cope with extreme cold nor heat) interest remained, and when Charles Goodyear invented a process to make this rubber more durable (vulcanization) the developing world went to town in the Amazon. As the first pneumatic rubber tyres were released all over the world in 1890, the demand for Amazonian rubber literally exploded. Rubber plantations were swiftly established in the Amazon and locals from towns and cities, lured by the promise of a decent wage, soon found themselves forced into an arduous and back-breaking labour. Life as a seringueiro – or rubber tapper – was anything but pleasant. Attacks from indigenous tribes keen to preserve their home increased exponentially, and workers battled diseases like malaria and yellow fever, as well as abominable living conditions. The price of rubber would fluctuate greatly over the next four decades, which meant waves of plantation work continued at will. To make matters worse, Brazil hastened its own agricultural colonization of the Amazon in the 1970s, in order to minimize foreign exploitation. In the process, however, it aided in the destruction and deforestation of unimaginable portions of the rainforest. In only two decades, during the 1970s and 80s, the Amazon’s virgin canopy was reduced by one fifth. One football field a minute was razed in the Amazon for farming. Every day, for an entire decade. Alongside the early explorations and exploitation of the Amazon for rubber, came a wave of other discoveries. The chinchona plant – the derivative of malaria treatment – was discovered and recognised in the 17th century – and a series of expeditions by naturalists and botanists proceeded to uncover and detail thousands of new species of flora and fauna. Still nowadays, new species are continually discovered in this vast expanse of biodiversity. The exploration of the Amazon also resulted in the decimation of an indigenous tribal population which is believed to have numbered in the millions. If they weren’t killed by European explorers then they died of the diseases which the invaders carried. It is estimated that over 90% of the indigenous Amazonian population was wiped out during the peak of Amazonian exploration. 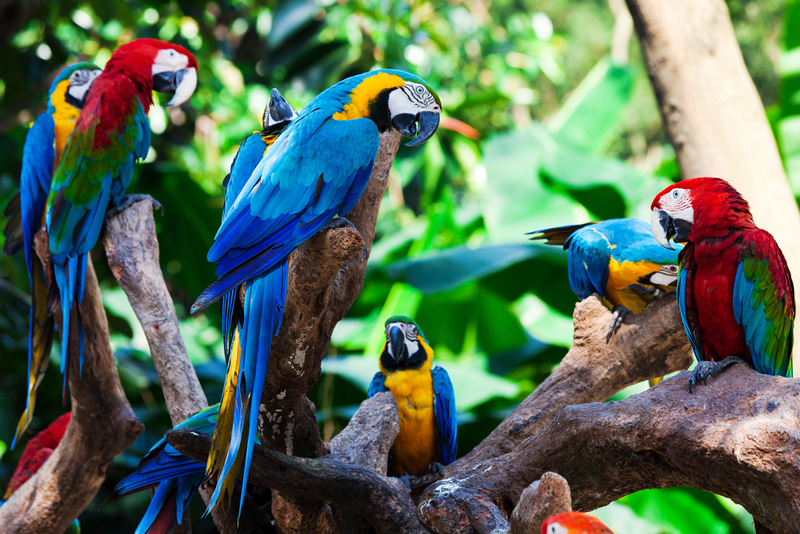 One of the most humbling things to learn is that although the Amazon Rainforest is a region of the world which has been extensively studied for over four centuries, there’s still much about it that we have yet to discover. This is the world’s largest eco-system, an unparalleled wildlife haven and a place from where much of our modern medicine derives. The importance of the forest for the survival of mankind cannot be overstated, as is the protection of the uncontacted tribes still trying to exist here, and that is why safeguarding the region from further deforestation and contamination is regarded as the most important issue of our times. The sheer size of the Amazon Rainforest means your options for exploring this mesmerizing region are quite extensive. Want to come face to face with the world’s most astonishing rainforest and its endemic creatures? From luxury cruises to adventure-filled expeditions in Brazil, Peru, Ecuador and Bolivia, we offer an array of unforgettable Amazon experiences to suit all ages, tastes, and budgets. Contact us for more info. 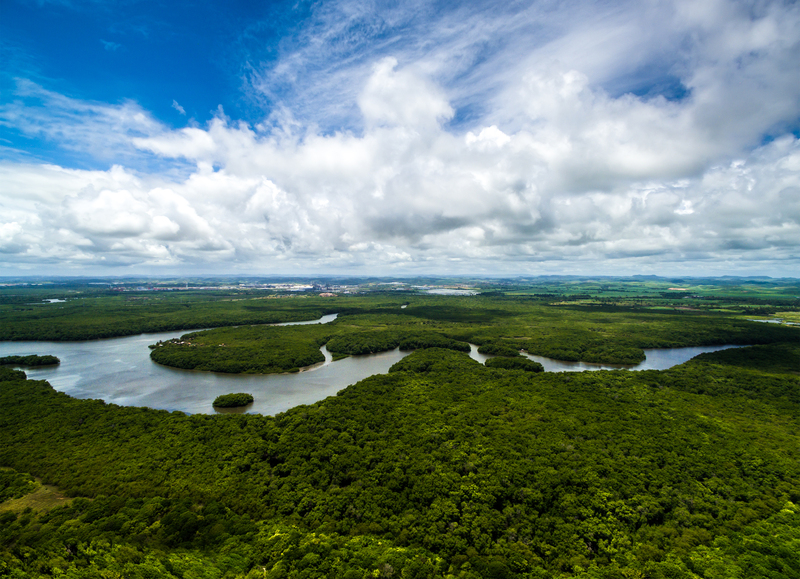 Explore the world’s largest tropical forest on board the new luxury Delfin III Amazon Vessel.